Diana had been looking for affordable weight loss surgery options, and like many others before her, chose Tijuana for the procedure. She underwent a successful sleeve gastrectomy in Tijuana, and in this video shares her satisfaction about the procedure. “My name is Diana Montiano. I had surgery two months ago. I started weighing a hundred kilos because we use kilos. So it’s a hundred kilos and I just weighed myself yesterday and I am eighty-five kilos now. So it’s fifteen kilos in two months. I feel really good you know. For me it was harder in the beginning but it was because of me, not because of the surgery or anything. Bariatric surgeons in Mexico are renowned all over the world for providing first-rate services. And BSW works only with the finest doctors and surgeons, who have creditable academic qualifications and years of experience to boast of. From gastric sleeve, to gastric plication, from gastric bypass to duodenal switch, a wide range of procedures are available to patients at our network hospitals. 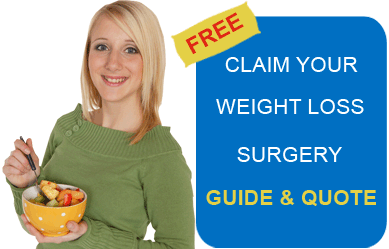 In case you are unable to afford a surgery of your choice, BSW can also arrange loans for weight loss surgery. BSW also facilitates high-quality weight loss procedures also in Cancun, Los Algodones and Ciudad Juarez. For more information on Sleeve Gastrectomy in Tijuana, fill and submit the estimate-request form on the right.